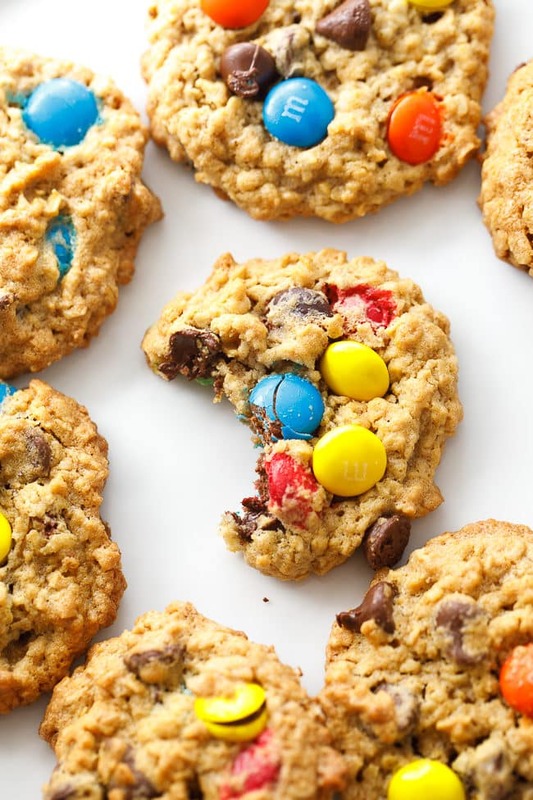 Peanut butter, oatmeal, chocolate chips, and M&M’s. That pretty much sums up a monster cookie recipe, and that happens to be one of my favorite cookies of all time. 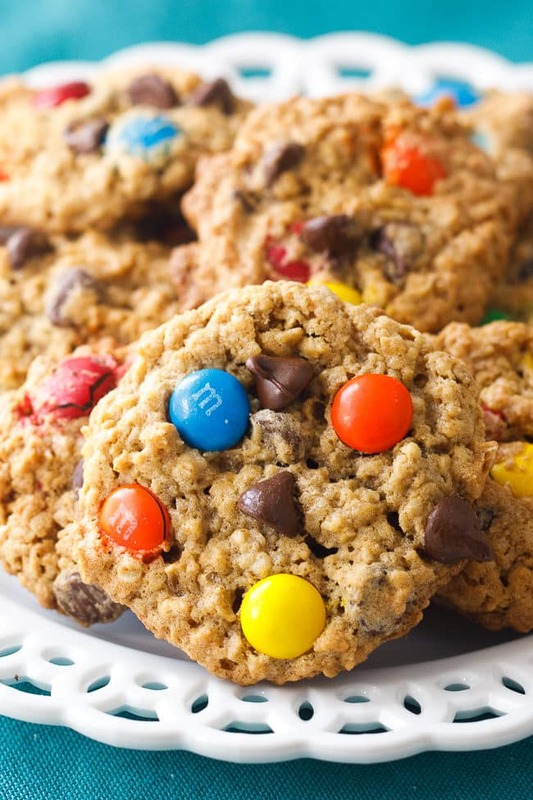 If you’ve never tried monster cookies before, you have to give this fun and easy recipe a whirl. 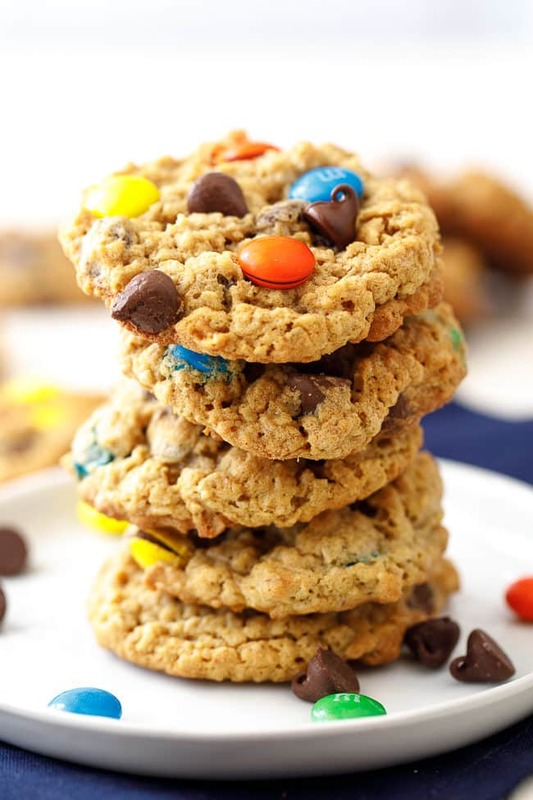 My monster cookies are chewy, sweet and full of yummy surprises. 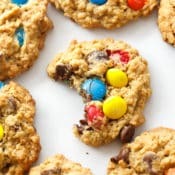 As a mother of two school-age children, monster cookies have quickly become my go-to recipe for taking to school parties and events. RELATED: Don’t forget about our yummy chocolate chunk oatmeal cookies. 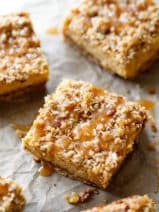 My kids just love these cookies and they’re easy to make in a hurry. I like monster cookies because you just really can’t go wrong when making them. They always look a little thrown-together and messy, and I’m totally okay with that. The most important thing is that they are full of good stuff on the inside. You know, I think the monster cookie is a metaphor for my life. Haha! I think I’ve mentioned once or a dozen times before, but I’m a pretty big fan of peanut butter. Any type of peanut butter cookies is a winner in my book. 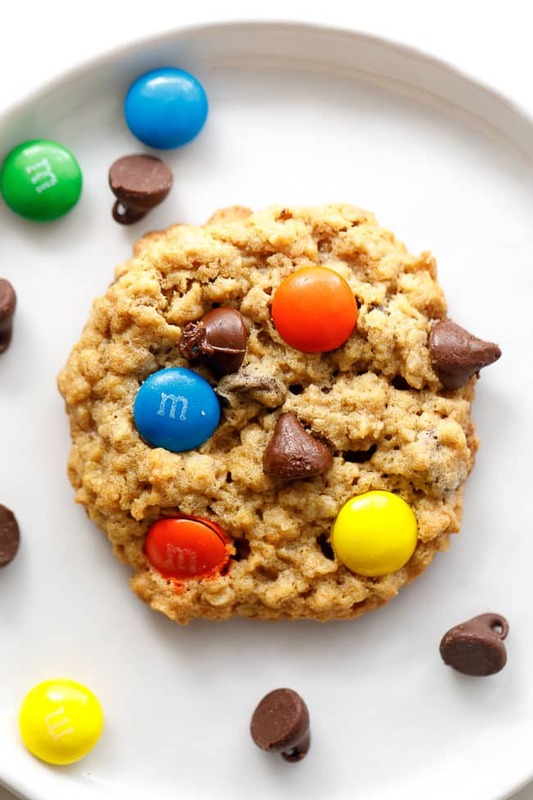 Are you a fan of the monster cookie? Let me know in the comments below, and don’t forget to follow me on Instagram for some fun behind-the-scenes photos from my test kitchen. Preheat oven to 350 degrees. In a large bowl beat the peanut butter and the butter together until smooth and creamy. 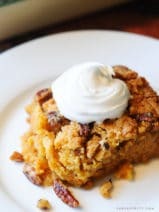 Add the brown sugar, granulated sugar and the baking soda and beat until well combined. Beat in the eggs one at a time just until combined. Beat in the vanilla. Beat in the flour. Using a large spoon stir in the oats. Add the chocolate chips and stir, then add the M&M’s and stir. Drop rounded tablespoons 2 inches apart onto cookie sheet. 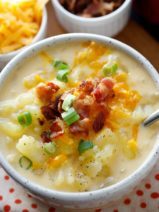 Bake for 9 to 11 minutes, or until edges are lightly brown. The tops will look a little under-cooked. Cool on the cookie sheet for about 10 minutes before transferring to a wire rack to completely cool. 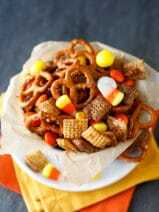 These look absolutely delicious, and no-doubt would be a kid favorite in my household! 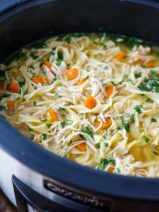 I would love to try your recipe!